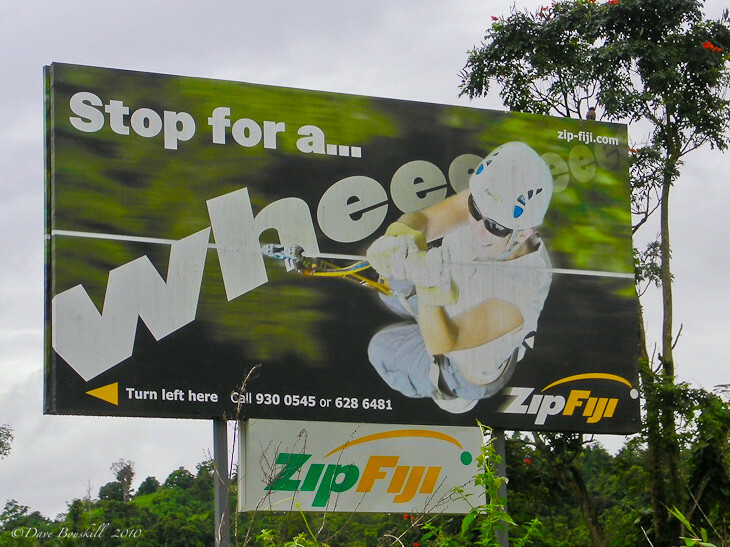 The Zip Fiji sign says it all as we make our final turn from the main highway to the jungle canopy of the Pacific Coast. Fiji’s adventure capital, this portion of the main island will not disappoint. Situated 2 1/2 hours from Nadi, the pacific coast is where you will find all the adrenaline you need, from shark diving to white water rafting and sailing to zip lining. Our adventure today was with Zip Fiji. 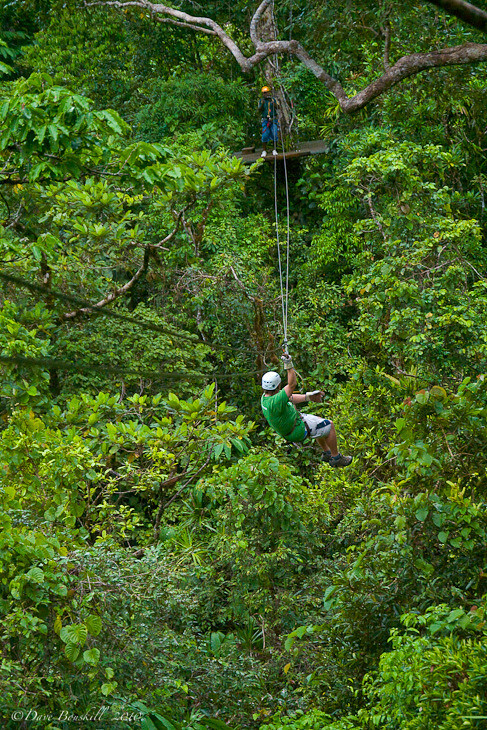 The only canopy zip line in the South Pacific, Zip Fiji’s ziplines were developed with the same technology as the lines that we have all heard so much about in Costa Rica. 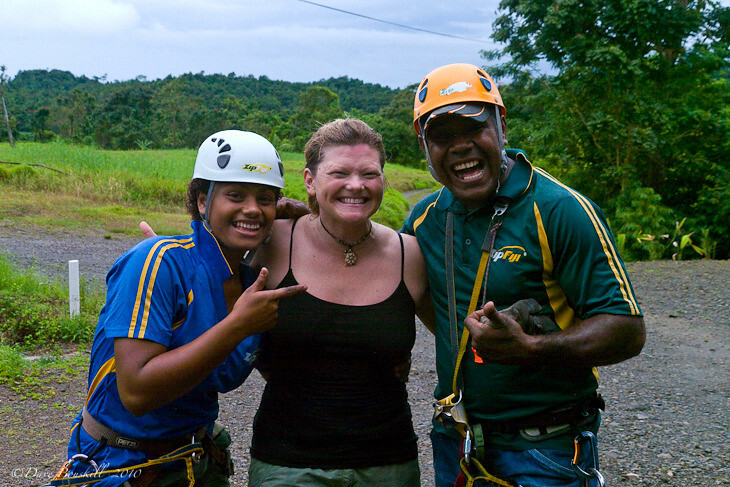 A canopy tour has been high on our bucket list for years and we finally had the chance to take part in a real tree top adventure when Tourism Fiji invited us to take part in their first ever Fiji Me Bloggers trip. The twenty minute drive from the Pearl Pacific Fiji was pleasant as we chatted with our driver aobut life on the island. We cannot reiterate enough how genuinely friendly everyone in Fiji has been. How does a Zipline in Fiji stack up to others? 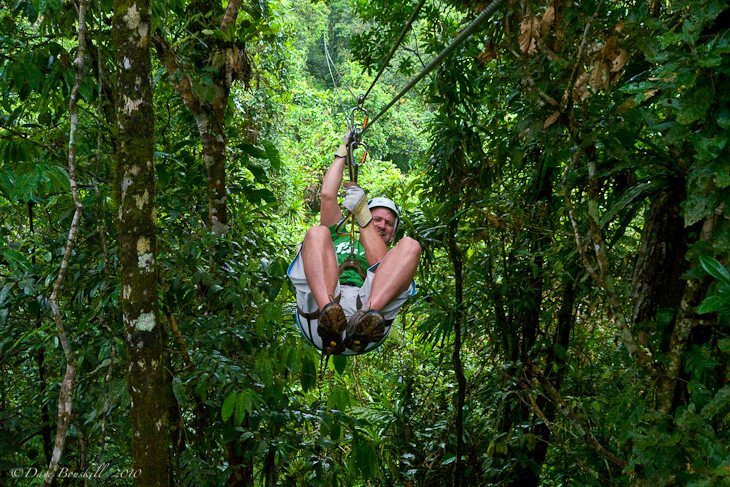 You will be completely satisfied with the amount of time in the rainforest. 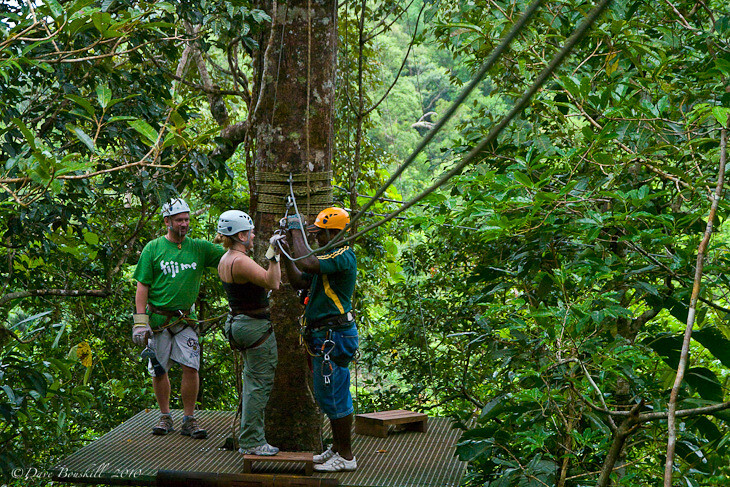 Zip Fiji offers 8 ziplines over an impressive rainforest canopy with just enough length and speed to give you a thrill. These two were pros and captured every moment leaving us to sit back and enjoy the trip. They set up shots, had us pose, told us to look back as we zipped away. They are true professionals that clearly love every minute of their work. After our first zip line, we had a couple hundred meters to walk uphill to start the adventure Mike stopped to tell us about the plants of the forest and we learned about their medicinal value, how to get water from the trees and that some millipedes can be quite toxic. After all the jungle walks we have been on, I am always fascinated by the many uses of plants and trees of the rain forest. The earth provides us with everything that we need and if you know what you are doing, the jungle can be your supermarket and pharmacy all rolled into one. The walk went by quickly as Mike kept us entertained and Rosa filmed it all for us. But, now that we were suitably high enough, it was time for the adventure to begin. We zipped from treetop to treetop and marveled at this feat of engineering. Standing twenty meters in the air on a platform surrounding a sturdy tree, we realized that someone had to build this thrill ride in the sky. It turns out that Mike was one of the construction workers and he told us that it took them 6 weeks to make. 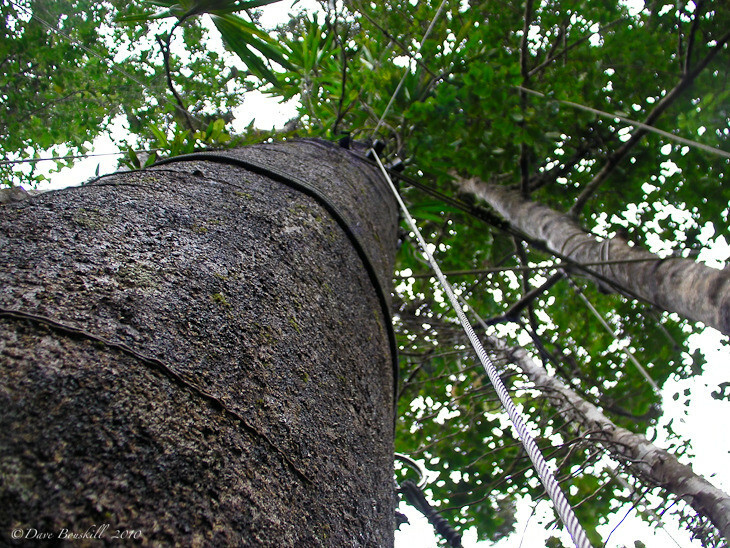 They used ropes and harnesses to fasten the metal platforms to the trunks of the trees and they made sure to not disrupt any of the surrounding vegetation. The zip lines were made in paths that were already clear and no trees were cut to make way for human bodies swinging from on end to the other. 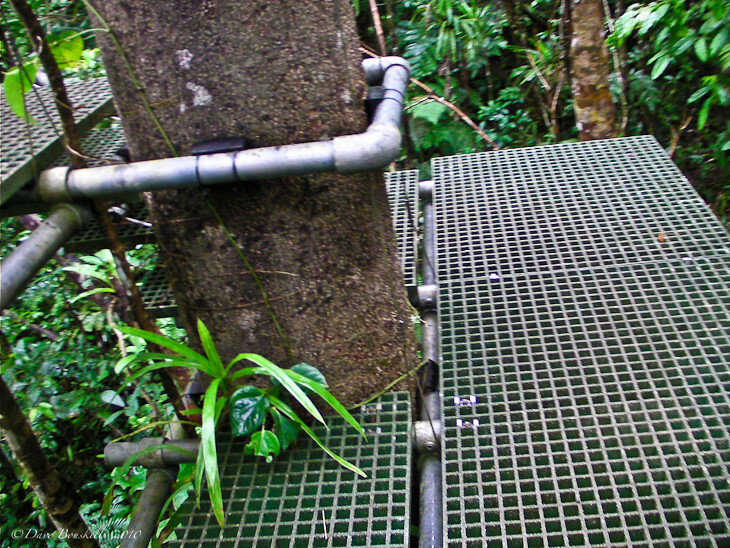 Zip Fiji is definitely an eco-friendly adventure. By this time next year, Zip Fiji will have 2 more runs to add to their 8 with the longest being 400 meters. We chatted with the owner and director Daniel Metcalf afterwards and he told us that they are planning great things for Zip Fiji. Soon they will have some of the longest and fastest zip lines in the world. We can’t imagine it getting any better, because we found our and a half in the air to be a perfect day above the lush jungle canopy of Fiji. Offers Zip Fiji's roundtrip transport costs per person are $60.00 FJD from Nadi, F$55.00 FJD from the Coral Coast, $25.00 FJD from Pacific Harbour and $35.00 FJD from Suva. 15 Responses to "Pacific Coast Fun with Zipline Fiji"
Once again, I did this on the press trip I went on! Zip Lining is a lot of good fun, and it’s worth having a cruise down one of the lines! Check out my vids about it here! .-= The Travel Tart´s last blog ..South Africa Homes – The Villa at Days At Sea =-. Ziplining is soooo much fun! I had the best time doing it in Cuba. Looks like a lot fun! Kinda reminds me of zip lining in the jungles of Costa Rica. .-= Cam´s last blog ..Hot Air Balloon over Cappadocia in Central Anatolia- Turkey =-.